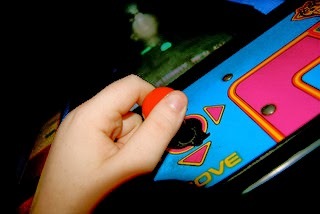 The following is the first post in a blog series I'll be writing about the parallels between real life and video games. I used to be a big gamer, and I applied many of the concepts I learned in games to advance myself in real life. How, you ask? Read on! I used to be a person that was crippled by social anxiety--a person who was more comfortable interacting with machines than other living, breathing people. I loved video games--probably to a fault! I still love them, as a matter of fact. But my love for them is now as much sentimental as it is based on current experience. I've evolved into a different place in my life. Games don't hold the same meaning for me anymore, but I do still love them! When I played video games as a kid it felt like I became everything I wanted to be in the real world. I was bold! I was powerful! I took risks and they paid off! Even though games were comparatively crude in my formative years, they still managed to be incredibly immersive to me. This was an era before I fully understood computers. Somehow, as the years have gone by, my understanding of the nuts and bolts of computers has diminished my sense of wonder about them. But, back in my youth they were the stuff of dreams. These plastic boxes created virtual realities, and in my mind they were boundless. I had no sense of the constraints of the simulations. As I got older something about the games began to bleed over into my real life. I realized that the power I felt in video games could become power in the real world if I was able to properly direct my thoughts. The decisions I made in the games were made in the absence of the crippling anxiety I often experienced in real life. If I could be cold and calculating in a game, could I learn to be that way in real life? I began to suspect that I could! One of the immediate effects of this "transformation" was that I started to become bolder in real life. I began this process by mapping certain stressful situations into video game parallels. This taught me to do empirical risk analysis in the real world. I learned that I could apply the same cold logic I'd apply to a battle in one of the old gold box RPGs to a decision about taking a risky new job with a big increase in salary. Before I crossed this chasm of self doubt, I probably would have been too fearful to risk a voluntary plunge into an unknown scenario. But I became confident enough to take a chance, had a few successes, and suddenly realized that I loved the freshness of new experiences. The fear of change left me completely. If you are a young gamer, I want you to think about how you behave when you play video games. I'm not talking about killing spree/rampage games like GTA, here. I'm talking about games with tactical and strategic elements that require care and planning for success. Realize that your life isn't that much different than a game like this. Sure, it's a bigger stage, so to speak, but many of the behavioral concepts are similar--especially when you have to devote a real world resource like your precious time to achieve an in-game goal. Empirical risk analysis is one of the key parallels, here. When a decision presents itself in the real world try to take a step back from any emotion you may feel. Pretend you have a re-spawn in your back pocket. What would you do? If your answer surprises you, then take a hard look at the risks associated with that course of action. Are you young? It's best to take risks when you are young! But they should be calculated risks! And you need to understand the risk/reward associated with any risky decision. This isn't the full story, of course. You'll want to read about my next parallel between gaming and real life which is that real life is like a level grind. Watch this blog for the next installment of this series! Thanks for reading!